You’re hard at work keeping our vital public services running, and leading busy lives with your family and friends. 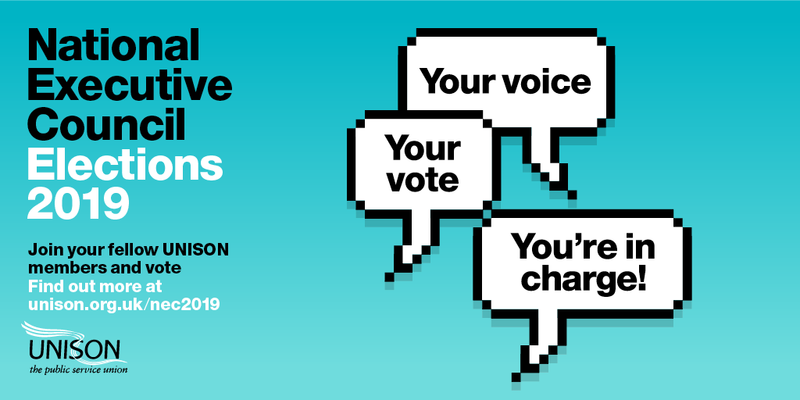 So now’s your chance to elect the people who’ll speak up on your behalf over the next two years. 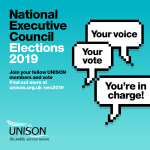 All seats are up for election on UNISON’s national executive council (or ‘NEC’). 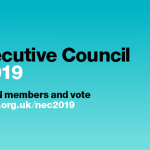 The NEC is a diverse group of 67 ordinary members like you, working in all areas of public services, who make decisions about how our union is run. Yes! We’ll send you an email when the ballot’s open. 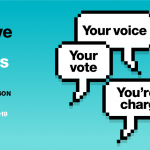 What if I haven’t had a ballot paper? 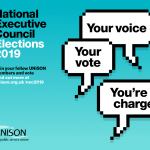 The election opens on 15 April, so if you haven’t received your ballot paper by 29 April, please call 0800 0857 857. Activists can order leaflets and posters from the online catalogue under ‘Elections’. 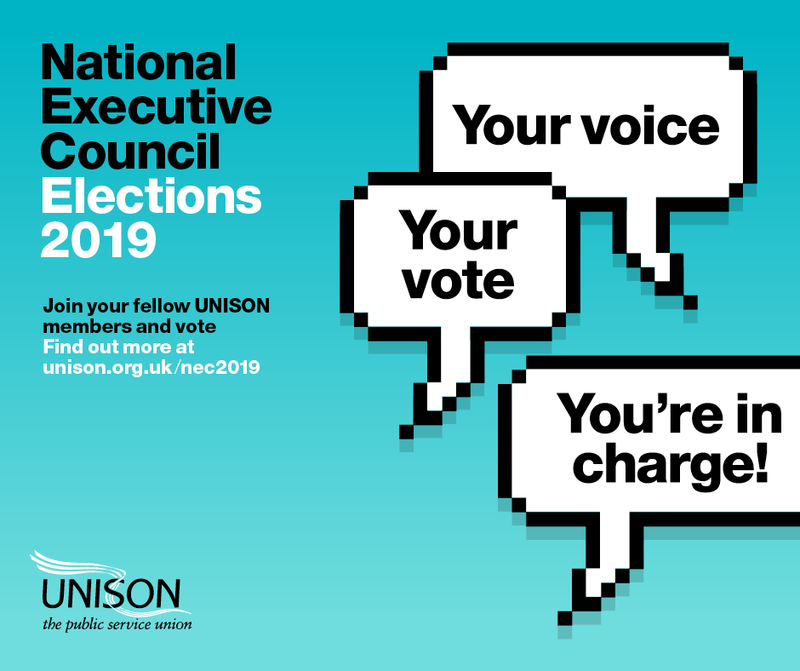 Click the resources tab below to download the leaflet and poster, a guide to having a conversation about the elections, and a range of social media graphics. 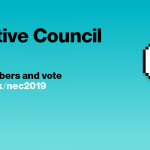 Welsh/English A5 leaflet highlighting the forthcoming 2019 NEC election and encouraging members to use their voice and use their vote. Poster gives key ballot dates and helpline number. 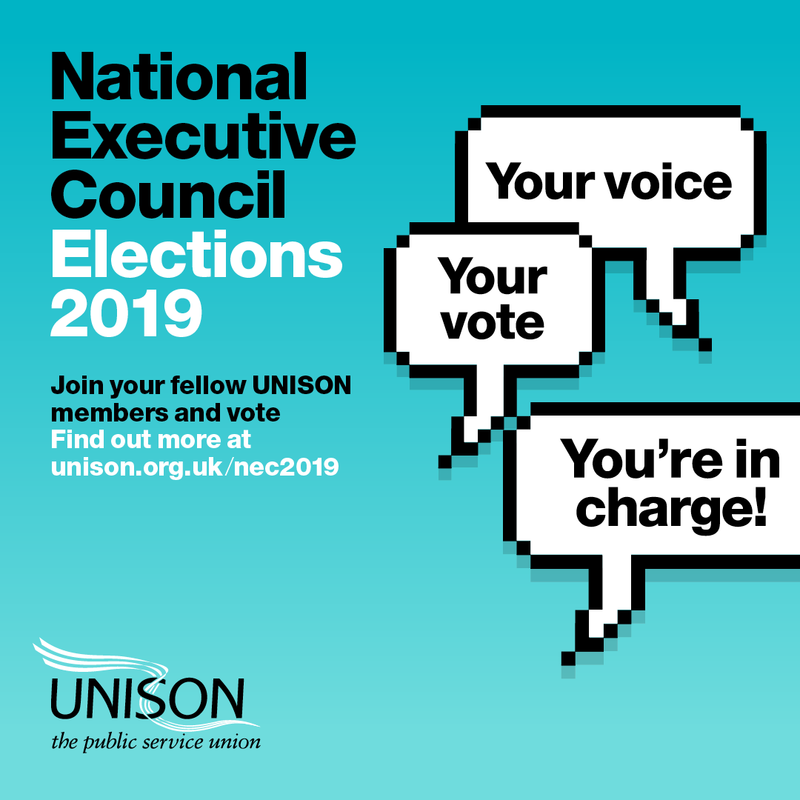 Welsh/English A4 poster highlighting the forthcoming 2019 NEC election and encouraging members to use their voice and use their vote. Poster gives key ballot dates and helpline number.